The Testo 405 Thermal Anemometer is perfect for the precise measurement of air flow velocity, volume flow and temperature. I comes with an extendable telescope (up to 300 mm), which makes it suited for flow velocity measurements in ducts. 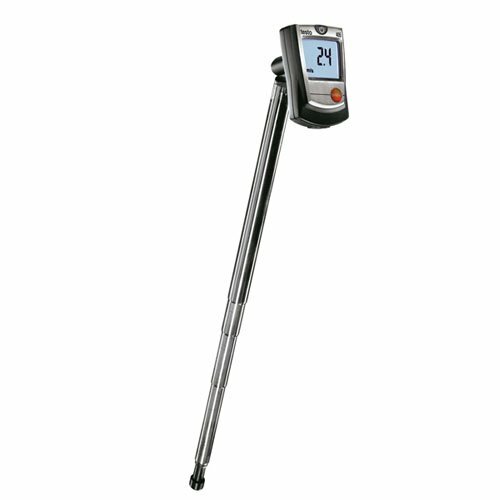 The Testo 405 measures very accurately in the range from 0 and 2 m/s and this makes Low air flow velocities such as at draughty windows for example, can be localized exactly and measured extremely accurately. The 405 comes with 3 AAA micro batteries, a belt clip and duct holder.